– Why are Design/Build for Change and Circular Economy not yet (fully) integrated in the current building practice and related policy? 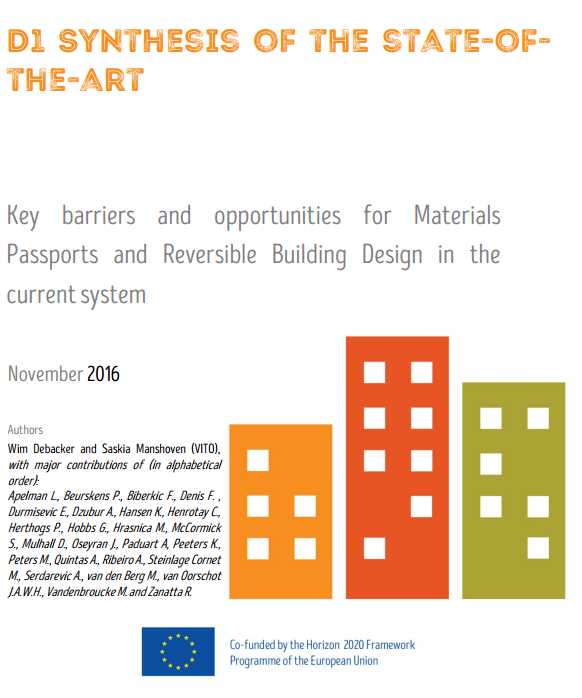 – What are the main barriers and opportunities within the current system for implementing Materials Passports and Reversible Building Design Protocols? This synthesis report has to be considered as a living document. It provides a snapshot of the current system, mainly based on desk research and available expertise within the BAMB consortium. As forthcoming BAMB activities (especially linked to the pilots and the business modelling) and interactions with stakeholders outside the BAMB consortium will bring along new insights, as well as new opportunities and barriers, modelling of the current system will be refined on a regular basis during the BAMB project. The outcome of this learning process will be published later in the project.